President Donald Trump's widely criticized response to white supremacist violence in Virginia has left Democrats in a quandary: how to seize the moral high ground without getting sucked into a politically perilous culture war. Democrats have denounced Mr. Trump for blaming "both sides" for deadly protests in Charlottesville, Virginia, and, more recently, for defending Confederate monuments. But the party faces a complex task: While addressing race and history in ways that reflect the party's values, Democrats also need to focus on issues like jobs and the economy that resonate with a wider range of voters, including white independents, ahead of the 2018 midterm election. The party has been looking to answer Mr. Trump's populism by crafting its own middle-class brand, yet Democratic leaders across multiple states now are pushing to take down Old South monuments like the one that ostensibly sparked the events in Charlottesville, and three rank-and-file House Democrats want to pursue a congressional censure of the president. The differences among Democrats were evident in Congress. House Democratic leader Nancy Pelosi of California called for "reprehensible" Confederate monuments to be removed from the Capitol. 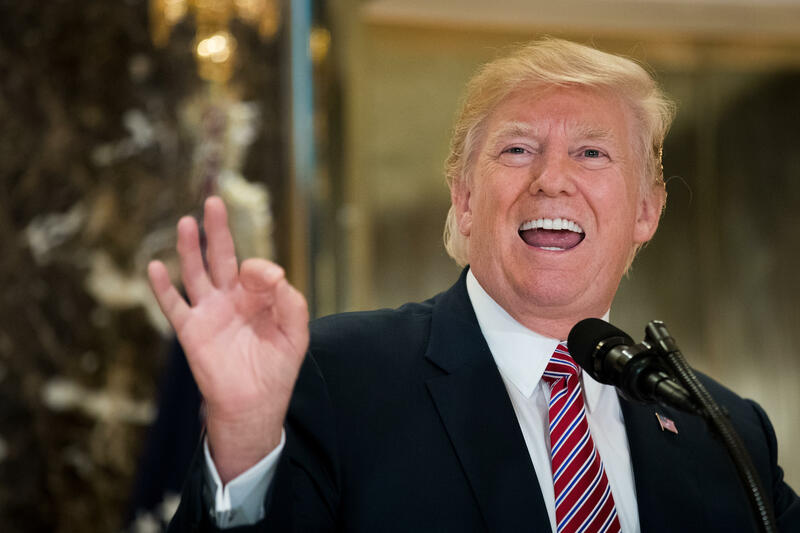 Her Senate counterpart, Chuck Schumer of New York, said the focus should remain on Mr. Trump's refusal to single out neo-Nazis and other white supremacists. "I want them to talk about racism every day," Bannon told The American Prospect, a liberal magazine. "If the left is focused on race and identity, and we go with economic nationalism, we can crush the Democrats." Mr. Trump himself has called Confederate memorials, most of them actually erected decades after the Civil War, "beautiful statues" that reflect "our nation's history and culture." Polls taken after last weekend's violence offer some evidence backing Bannon's and Mr. Trump's view. While polls found widespread disgust with white supremacists, a Marist Poll for NPR and PBS found that just 27 percent of adults queried believe Confederate monuments "should be removed because they are offensive." About two out of three white and Latino respondents said they should remain, as did 44 percent of black respondents. Andrew Young, a Democrat, civil rights leader and former U.N. ambassador, warned this week that the monuments are "a distraction." He told reporters in Atlanta it is "too costly to refight the Civil War." Boyd Brown of South Carolina, a former state lawmaker and onetime member of the Democratic National Committee, says Democrats are right to oppose Confederate monuments and criticize Mr. Trump's remarks. "He tweets something crazy, we react — and we're not wrong," Brown said. But "we have to talk about a lack of jobs and education in poor districts, voter suppression laws. Ask why Medicaid funding is always the target. And then explain how all those things hurt more than just African-Americans." Mr. Trump upset Democrat Hillary Clinton on the strength of his support from white voters, particularly working-class whites who possessed a combination of economic frustration and racial resentments salved by mr. Trump's promises of immigration controls, law-and-order and a booming economy. Clinton, meanwhile, concentrated so much on Mr. Trump's deficiencies and outlandish statements that her own policy proposals received less attention. That's a problem that has beset Mr. Trump rivals since he first declared his candidacy: All the attention focused on Mr. Trump — even unflattering stories — prevent them from getting out their own messages. Brian Fallon, who was spokesman for Clinton's campaign, said Democrats shouldn't let that happen after Charlottesville. "As horrifying as what the president has said is, you have to have an affirmative agenda," he said. Still, Fallon praised Democratic efforts to keep Mr. Trump and Republicans on the defensive over the president's response — even if it doesn't help them politically. Democrats have tried various tactics to press the Charlottesville issue. Besides the push to censure Mr. Trump and remove monuments, they are planning voter organization drives across the United States. Andrew Gillum, the mayor of Tallahassee, Florida, and candidate for governor, is among the Democrats calling for monuments to be moved to museums or cemeteries. Gillum, who is black, says Democrats must argue "these monuments have been weaponized. We can't pretend that didn't happen." The issue is reminiscent of South Carolina's decision to remove the Confederate battle flag from statehouse grounds in 2015 after a white gunman killed nine people at a historic black church in Charleston. Then-Gov. Nikki Haley, a Republican who is now Trump's United Nations ambassador, declared the flag untenably divisive after the wide distribution of photos showing the killer clutching it. "She was focused on leading the state through a grieving process so it could begin healing," recalls Rob Godfrey, one of her top aides at the time. But Godfrey notes Haley never considered jettisoning other Old South relics. "That was going to drive people apart," Godfrey says.